This Microsoft Excel® dashboard displays market data and correlations of US equity SPDR® (Standard & Poor's Depositary Receipts) ETF products. 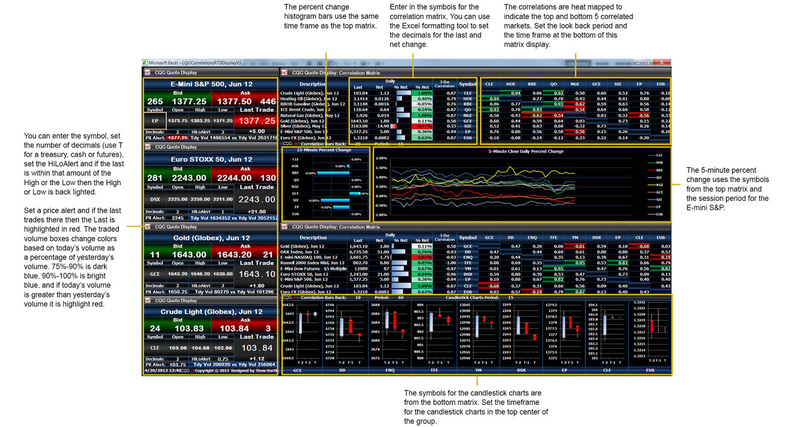 The ETFs are grouped by Core, Style, Sector, and Industry. 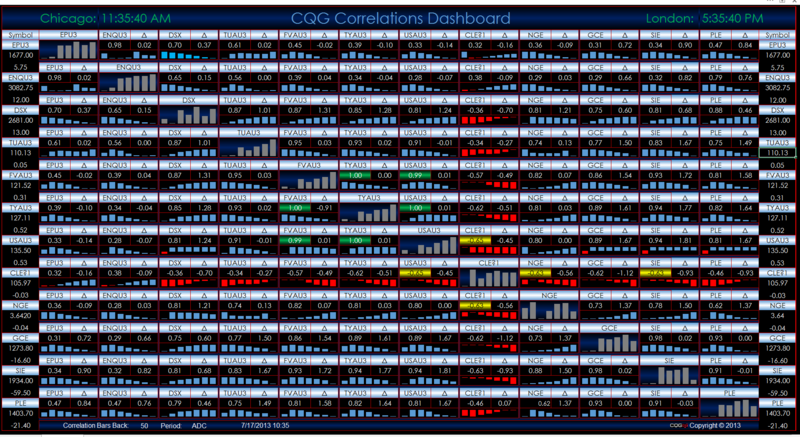 This Microsoft Excel® spreadsheet presents a ten-by-ten correlation matrix. This Microsoft Excel® spreadsheet uses the RTD correlation formula to pull historical correlation values from CQG.